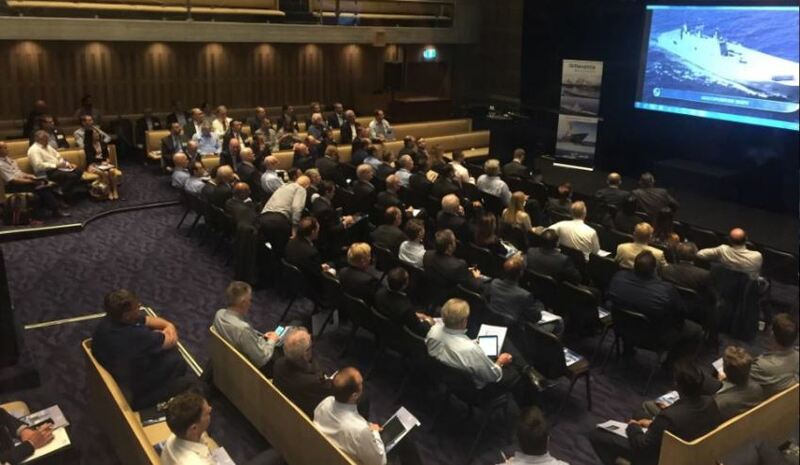 Representatives from more than 450 companies attended Navantia's SEA 5000 industry day in Sydney on Friday, 24 March. The event was the fourth of five planned industry days around the country. The next industry day will be in Brisbane on 27 April. Navantia, which said its frigate design will include a significant number of Australian suppliers and subcontractors, is seeking to engage with partners from the Australian industry as part of the company’s proposed work on the Future Frigates. The SEA 5000 Phase 1 Future Frigate Program is a key pillar of the Australian government's plan to modernise Australia's naval capabilities and create a sustainable naval shipbuilding industry. The Future Frigate Program, estimated to be worth more than $35 billion, will replace Australia's existing fleet of eight Anzac Class frigates with a new fleet of nine anti-submarine warfare frigates. The Spanish firm is one of the three companies that have been downselected to refine their designs for the request for tender (RFT). Italian company Fincantieri and British multi-national company BAE Systems have also been downselected for the projects RFT. The nine frigates will be built in Adelaide and will incorporate the Australian-developed CEA Phased-Array Radar. Recently, the Navantia-built Spanish frigate ESPS Cristóbal Colón docked in the Outer Harbour wharf in Adelaide to demonstrate some of the capabilities their frigate design will offer. Minister for Defence Industry Christopher Pyne toured the frigate and discussed the importance of the program for Australia’s navy, along with the economic benefits for the nation. "Australia’s Future Frigate Program will provide a cutting-edge, anti-submarine warfare capability to Australia’s navy," Minister Pyne said. "The project itself will directly create more than 2,500 jobs and will form the backbone of Australia’s future surface shipbuilding industry. "Australia’s defence materiel projects with Spain are worth almost $13 billion across shipbuilding and aircraft." Minister Pyne also praised the frigate’s capabilities, as well as Navantia’s operational skills. "Navantia was instrumental in turning around the Air Warfare Destroyer program in Australia, taking the Osborne shipyard to internationally competitive standards. "Navantia’s ability to run shipyards, Australia’s long relationship with Spain and the capability of ships like the Cristóbal Colón are among the reasons Navantia were downselected for Australia’s Future Frigate Program."